Students. Athletes. Men and Women for Others. The GRC is committed to the Jesuit value of Women and Men for others. Service activities aren't mandatory, but many GRC members choose to participate. Our main service activities are Back on my Feet and Relay For Life. 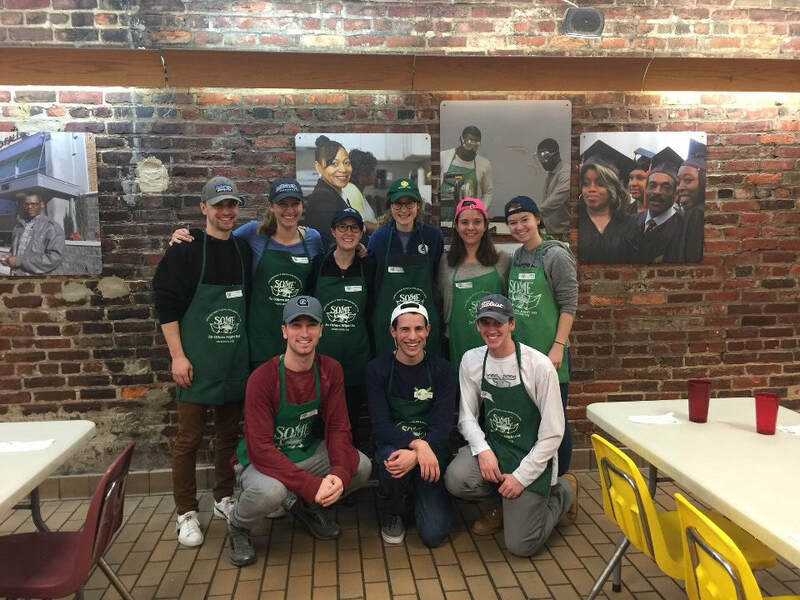 Check out the links from the drop-down menu or contact our Outreach Coordinator Zach Gallin at runningclub@georgetown.edu to learn more about our service opportunities! GRC working at SOME Soup Kitchen!